Website for Matthew Legare, writer of historical, thriller, and noir novels, including the Reiko Watanabe/Inspector Aizawa series set in 1930s Japan. 1931 was an important year in Japanese history. Casual research of this era will have a brief overview of the invasion of Manchuria in September, and vague references to a coup d’état which put the Army in charge. In truth, there was no armed coup d’état in 1931, at least none that were successful. However, the March Incident (Sangatsu Jiken 三月事件) came close. In 1930, Japan entered into the London Naval Treaty, which limited the amount of warships could be built against Britain and America – a ratio of 5:5:3. For every five ships America and Britain built, Japan could only build three. It was argued that Britain, being a global empire, needed a vast navy. Since America had split its fleet between the Atlantic and Pacific oceans, it also needed a large navy. However, because the Japanese Empire was confined to a portion of East Asia, it was argued she only required a much smaller fleet. This threw Japan into a politically charged debate throughout 1930, which we be covered in a later blog post. Eventually, the London Naval Treaty was ratified, much to the chagrin of hardliners within the Japanese Navy. Watching this with scorn, officers within the Imperial Army were horrified that another limiting treaty would be forced on them next. To combat this, in entered Lieutenant-Colonel Kingoro Hashimoto. Hashimoto had recently returned from Istanbul where he’d been stationed as a military attaché. He’d seen the remarkable changes that a strongman like Ataturk had made to Turkey, and desired a similar leader in his own country. Japan was now fully mired in the Great Depression, thanks to the devastating impact of the Smoot-Hawley Tariff. The national legislature – the Imperial Diet – was unable to combat the crippling unemployment rate. Along with like-minded officers, Hashimoto formed the Cherry Blossom Society (Sakuraikai桜会) in late September of 1930. Although the total membership never exceeded a hundred, its followers were placed in key positions within the General Staff and Army Ministry. Members also included several Army officers who would take major roles in World War II such as Isamu Cho, Akira Muto, and Torashiro Kawabe. The aims of this group were the abolishment of political parties, the overthrow of the civilian government, and the establishment of a true military dictatorship. In effect, a 20th century Shogunate. There was some merit to the fear that a new international treaty would weaken the Imperial Army. This was the era of the Kellogg-Briand Pact and armament reductions. 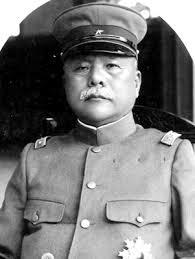 Already in the 1920s, the size of the Army had been reduced under the then Army Minister, General Kazushige Ugaki. Due to budget cuts, Ugaki was forced to release some 2,000 commissioned officers from service. However, he successfully ended the influence of the Choshu samurai clique, which had dominated the Army leadership since the Meiji Restoration of 1868. 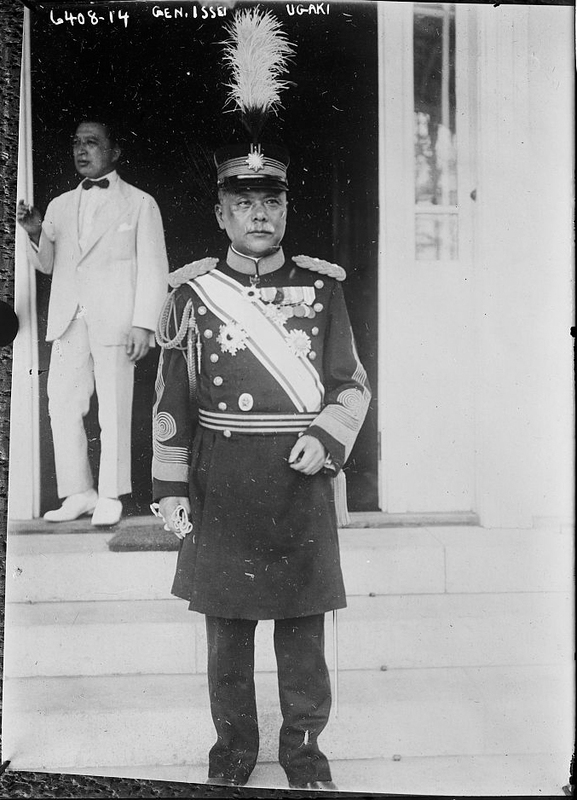 Ugaki was a controversial figure within the Army – serving as its minister between 1924 – 1926 and again between 1929 – 1931, this time as part of the cabinet of Reijiro Wakatsuki. General Ugaki had political aspirations of his own, as many Japanese generals and admirals had served as prime ministers. It is important to emphasize that these officers (General Giichi Tanaka, Field Marshal Aritomo Yamagata, Admiral Gonbee Yamamoto, etc) all served as legally appointed prime ministers with cabinets. Japan never truly had an official military dictatorship, despite what has been said in third-rate history books and documentaries. The closest was under General Hideki Tojo, who never had a fraction of the power that his contemporaries Hitler or Mussolini enjoyed. Because of these political aspirations, General Ugaki attracted the attentions of the Cherry Blossom Society. Many of its members (and many more who were unaffiliated with the group) were proponents of expanding into Manchuria by force. However, the Foreign Minister at the time – Baron Kijuro Shidehara – pursued a “positive policy” of non-intervention in Chinese affairs. For the officers of the Cherry Blossom Society, the first step to expand into Manchuria was to eliminate the civilian government. In hindsight, we tend to view the Imperial Japanese Army as a fanatical group of fascists, accustomed to bullying their way into politics and assassinating politicians. There were two flaws within the Japanese Constitution – 1) The Armed Forces were responsible ultimately to the Emperor, not the prime minister, and 2) active duty officers had to be appointed Army and Navy ministers, thus eliminating civilian control over the military. However, with the exception of certain officers (e.g. Aritomo Yamagata & Giichi Tanaka) it was rare for members of the Army to take an active role in politics before 1930. The turmoil caused by the London Naval Treaty and Great Depression changed the relatively apolitical nature of the Japanese Army and Navy. In November 1930, Prime Minister Osachi Hamaguchi was shot by a disgruntled nationalist angered by the London Naval Treaty. Although he survived the initial attack, he lingered on death’s door for months. In his absence, Baron Shidehara took over as interim prime minister. It looked as if the Hamaguchi Government was tottering on collapse. General Ugaki had let it be known within the Army that he would be willing to form a government should Hamaguchi resign. In January 1931, General Ugaki called a conference of senior officers to discuss reorganization and reform within the Army. Some officers present were Lieutenant-General Hajime Sugiyama (Vice-Army Minister), Lieutenant-General Ninomiya (Vice-Chief of the General Staff), Major-General Kuniaki Koiso (Chief of the Military Affairs Bureau) Major-General Yoshitsugu Tatekawa, and Lieutenant-Colonel Hashimoto. It is possible that it was here where Ugaki first became aware of desires for a coup de’tat within the Cherry Blossom Society. The tentative date for action was February 20th 1931. 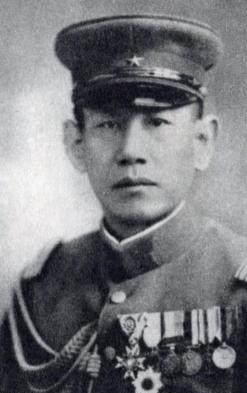 Since the plot relied heavily on participation from sympathetic civilians, Lieutenant-Colonel Hashimoto reached out to nationalists, such as Dr. Shumei Okawa. 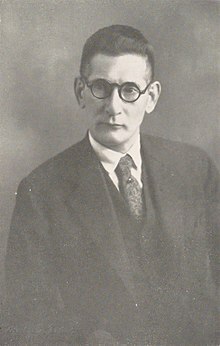 An influential intellectual, Okawa was one of several leading nationalist thinkers in the 1920s and 1930s (other major intellectuals include Ikki Kita and Mitsugi Nishida). An idea coalesced in the 1920s of a Showa Restoration. Similar to the Meiji Restoration of 1868 which ousted the Tokugawa Shogunate and restored the Emperor to power, this Showa Restoration would eliminate civilian government and restore the Emperor’s ability to rule the people – through a military dictator. Okawa published several books advocating for a radical restructuring of society and expansion overseas. While not the most influential of Japanese nationalist intellectuals, he nonetheless was favored by Hashimoto and other mid-ranking officers. The Young Officers (captains and lieutenants) who would later carry out the famous 2-26 Incident, favored Kita and Nishida. Regardless, it was believed by Hashimoto that Dr. Okawa would be able to muster enough men to cause chaos throughout Tokyo, justified martial law. Okawa required money and explosives and Lieutenant-Colonel Hashimoto dipped into secret service funds, as well as siphoning off explosives from General Staff Headquarters. Supplementary funds were allegedly provided by Maquis Yoshichika Tokugawa, whose family had ruled Japan from 1603-1868. In mid-Feburary, General Ugaki is reported to have met with Dr. Okawa at the Golden Dragon tea house. While being entertained by geisha, the hammered out the details and things began to go awry. It is this meeting where the new date – March 20th, 1931 – was set. Okawa wanted assurances that if he and his followers clashed with the Tokyo Metropolitan Police, then the Army crackdowns wouldn’t be too severe. General Ugaki couldn’t give such assurances, since the Army would have to do its duty if called out. Okawa countered that the riots would only be started in order to bring about the coup de’tat that would thrust General Ugaki to power. The argument left a sour taste in Ugaki’s mouth and he carried a dislike for Dr. Okawa. Furthermore, the General had been flirting with the Rikken Seiyukai, the more conservative of the two major political parties. An offer was extended for Ugaki to become its president, similarly to what happened to General Giichi Tanaka a few years before. A coup d’état might not be necessary. On February 26th, 1931 another meeting was held at the Golden Dragon tea house. The attendants included General Ugaki, Dr. Okawa, and Lieutenant-Colonel Hashimoto among others. As geisha danced and twanged out ballads on their shamisens, Ugaki pressed for more and more details of the plot. Dr. Okawa was coy, but assured the General that a network of conspirators was being put in place. Again, General Ugaki listened half-heartedly, but couldn’t commit full support. A week later on March 2nd, General Koiso, irritated by Dr. Okawa’s lack of action, stormed the Golden Dragon tea house and demanded that he raise a mob to forment chaos in Hibiya and Ueno Park. Okawa agreed and the following afternoon a motley gang of “three thousand laborers, vagrants, and drunks” convened at Ueno Park to do little more than rabble-rousing. The Police easily dispersed them. Panicked at being implicated in a treasonous conspiracy, General Ugaki ordered Generals Sugiyama and Koiso to cancel the plot. The explosives were returned, although some had mysteriously gone missing. Even worse, Dr. Okawa continued to plan for the scheduled coup de’tat on March 20th with or without the support of General Ugaki. The Army leadership became increasingly nervous that their role in the plot would be revealed. General Koiso begged and pleaded with Dr. Okawa to call off the coup. According to some sources, another rally was held in Ueno Park on March 17th, 1931, which was just as pathetic as the first and cleared out by the Metropolitan Police. Still, the generals feared these were dress rehearsals for the real coup on March 20th. On March 18th, in a meeting at the Totaku Building in downtown Tokyo, the Army sent an intermediary to meet with Dr. Okawa. Colonel Daisaku Komoto (the officer who’d planned the assassination of the Manchurian warlord Chang Tso-lin) negotiated with Dr. Okawa that Maquis Tokugawa would pay the Doctor 200,000 yen to stop the plot. “Weeping with patriotic disappointment” Okawa agreed and the March Incident came to an end. Most interestingly, the book Japan’s Imperial Conspiracy by David Bergamini theorizes that the March Incident was never meant to occur, but rather it was invented as a complicated scheme to descredit Ugaki hatched by Count Makino, one of the Emperor’s closest advisers. However, many conclusions Bergamini makes are highly dubious and should be taken with a grain of salt. General Ugaki was never forgiven by the fire eaters within the Army, particularly the mid-ranking and senior officers who supported the March Incident. In April 1931, he was assigned to Korea as its governor-general and was recalled to Japan in February 1937 to become prime minister – his lifelong dream. However, as he was in route to Tokyo, his car was halted by the Kempeitai commander – General Kesago Nakajima – who suggested with no subtlety that Ugaki should decline the offer from the Emperor. 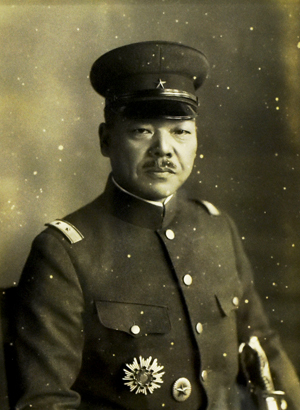 The Kempeitai even arrested many officers who were Ugaki supporters, but the General was undaunted. However, Ugaki was unable to form a cabinet because no active duty general would serve as his army minister. Added to the ire caused by his cancellation of the March Incident, was Ugaki’s flirtation again with political parties. It is important to distinguish the plotters of the March Incident between those of later terrorist acts, most notably the Blood Brotherhood (Ketsumeidan), 5-15, and 2-26 Incidents. Those who carried out these assassinations and coup d’état attempts were either civilians (e.g. the Blood Brotherhood) or part of the Young Officers movement which was composed entirely subaltern officers. The Cherry Blossom Society (Sakurakai) which planned the March and October Incidents, was mostly made up of mid-ranking Army officers (majors, lieutenant-colonels, colonels). Although, according to the book The Double Patriots, there were several second and first lieutenants on its roster. However, many of the Young Officers considered the Cherry Blossom Society to be comprised of careerists who were only interested in seizing power for power’s sake, and not the pure-hearted and selfless ideals of the Showa Restoration. Again, it is important to stress that the officers who planned the March Incident had nothing to do with the faction who carried out the infamous Mukden Incident of September 1931, which created a casus belli for Japan to invade Manchuria. The two groups had similar foreign policy goals, but acted completely independent of one another. Conspiracy in Tokyo – the prequel novella for the Reiko Watanabe/Inspector Aizawa series – is a fictionalized story of the March Incident. Obviously, it is fiction, not history, so I dramatized and streamlined many of the events to make it into a thriller. The Metropolitan Police were certainly aware of the plot and likely had informants close to Dr. Okawa, so I took this kernel of an idea and expanded upon it. What if the March Incident was close to succeeding and foiled from within? Masaru Ryusaki is a fictionalized composite of many actual nationalist intellecutals at the time, (most notably Ikki Kita) and a heavy dose of my own imagination as well e.g. his double life as a mobo and samurai heritage. In this version of the March Incident, it is Inspector Aizawa who foils the demonstration at Ueno Park that was intended to cause chaos in front of the Diet, which in turn caused General Ugaki to cancel the coup. If you are interested in learning the real history of the March Incident, there is unfortunately no single book in the English language that covers it in detail. I have instead pieced and stitched together from several sources, hoping to create a more complete overview. Even here, I omitted many minor details. I hope one day we can get a scholarly work dedicated to this fascinating and forgotten episode in Japanese history.